Salzburger Saalachtal is known not only for its green regions and proximity to Salzburg, but above all for its family-friendly activities. Here there is everything that makes children's hearts race: ski-fun parks, toboggan runs, children’s slopes, and much more. More than reason enough for ‘Sechs Paar Schuhe’ and ‘Life with Sandy and Benni’ to explore the region. When we travel with our children, it is important for us that we do not rush from one place to the next, and that we take our time. Taking time – that’s easy in Salzburger Saalachtal. The region offers many possibilities for families with kids where the parents can relax and the kids can romp around. For example, with skiing and snowboarding. Both families were particularly happy with this. You can see Benni and Sandy in their videos on YouTube mostly under palm trees and sunshine. These two spent some time with their sons Liam (3) and Mael (almost a year) on Tenerife and do not normally see much snow. Thus, the children’s eyes lit up even more in Salzburger Saalachtal when Liam was allowed to ski for the first time and Mael sat on a toboggan. 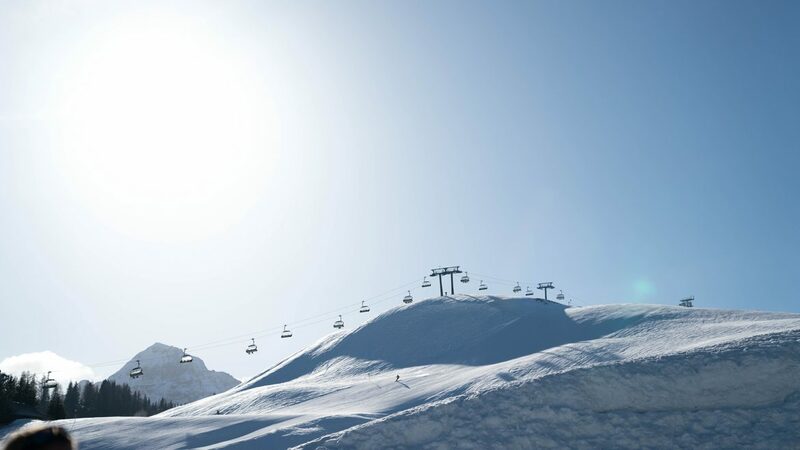 Since the ski equipment for so many people need lots of space, the two families found it particularly useful to be able to borrow the equipment on site. 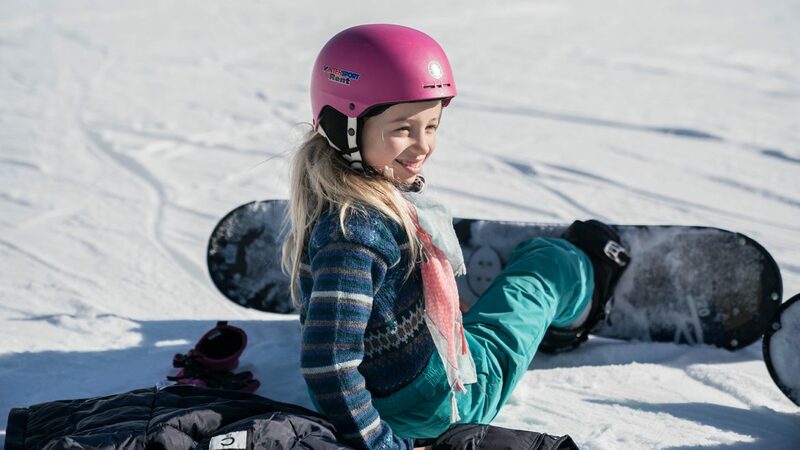 In the Intersport Storm Ski School, directly at the valley station of the Lofer Alpine cable car, the children were able to choose their skis and snowboards, try on ski boots and even warm up for the slopes. And then, the ten-person tour group headed up into the snow. While a snowboard instructor helped Thor’s and Maria’s kids improve their snowboarding skills, Liam was able to stand on skis for the very first time and carve his first curves in the snow during the children’s ski course. 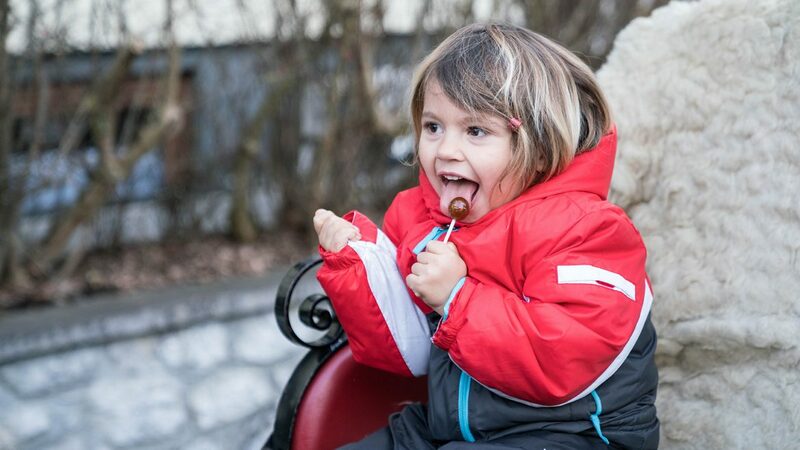 The Lofer Alpine World not only offered ideal slopes for children, but also valuable hours for Thor, Maria, Benni and Sandy. Indeed, they were able to carve across snow-covered slopes, while the little ones were looked after in the courses.